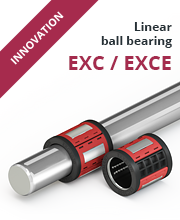 EXXELLIN Linear GmbH & Co. KG manufactures high-accurate precision steel shafts and chromed bars. Hardened, unhardened as well as chrome-plated shafts are often basic components of linear bearings for a wide variety of applications in the field of mechanical engineering, but also in the automotive, medical engineering and further sectors. For this purpose, we offer many standard products as well as customised solutions. Furthermore, we will be pleased to give you advice with regard to the application and dimensioning of our products. Regarding the production process we are very innovative and we set the highest value on the quality of our products. At the production site in Wolmirstedt a state-of-the-art production plant fits into a dynamic environment, which is affected by high-performance industrial enterprises of automotive, and mechanical engineering industries, experienced specialists and various research facilities. 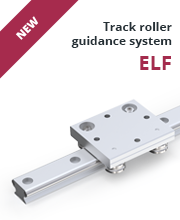 Since April 2010, EXXELLIN Linear GmbH & Co. KG is realising the wishes of its national and international customers.